FBI to investigate in MPD video beating case Invited in by Minneapolis police chief Tim Dolan, the FBI will investigate the February police beating of a man who had been thrown to the ground by an officer after a traffic stop. The chief’s invitation looks like damage control, after the release of the squad car video shows the apparently unresisting Darryl Jenkins being kicked, punched and tased by six cops. 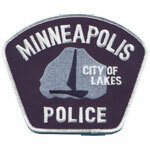 Mike Quinn is a retired Minneapolis police officer. During his 23 years on the force, he spent four years as head of the police academy. Many of the officers he trained are still on the force. Quinn reviewed the video of Jenkins’ arrest and immediately saw some red flags. Rhetorical question: How long will it take for the Minneapolis Police Department to change the departmental culture that tolerates and excuses this kind of behavior? MN (sort of) military news In Fridley, a defense contractor will lay off 314 of its 1,319 workers, reports the Star Tribune. BAE Systems said that, “These layoffs come as a result of the partial termination notice and stop-work orders the company received for its Future Combat Systems (FCS) manned ground vehicle program contracts.” BAE is a subcontractor for Boeing. And in Arden Hills, the city council now supports making most of the four-square-mile Army munitions site into a regional park, reports the Star Tribune. The mayor opposes the plan, saying that more of the site should be redeveloped into manufacturing uses, though no new developer is in sight after the pullout of Ryan Companies earlier in the year. The flat parcel of land now has Army buildings on it, which would have to be torn down, and a contamination clean-up is also needed. According to BBC, consumers can do little to protect themselves from this kind of attack. The best advice is to check bank and credit card statements carefully and report suspicious transactions immediately. • August 12 – After curfew, unidentified individuals drove past the office of Vía Campesina located in the Alameda neighborhood of Tegucigalpa, Honduras, shooting into the office. • August 14 – Protesters blocked vehicle traffic along the highway between San Pedro Sula and Puerto Cortés. After protest leaders and police reached an agreement to disperse peacefully, police instead chased protesters, arresting 27 severely beating many of them. Five protesters were hospitalized. Afghanistan A suicide attack on a NATO convoy on the outskirts of Kabul killed seven people and injured 50, reports NPR. The Taliban has denounced national elections, which will take place Thursday, and warned that people going to the polls will be putting themselves in danger. Rockets also hit the presidential palace and police headquarters in Kabul, according to the New York Times, which said those attacks caused no injuries. President Hamid Karzai, who faces 30 opposing candidates, is seen as the front-runner.